Inefficient architecture and infrastructure is among the leading contributors to greenhouse gas emissions. According to the U.S. Green Building Council, buildings account for 39% of CO2 emissions in the United States and consume 70% of the nation’s electricity. 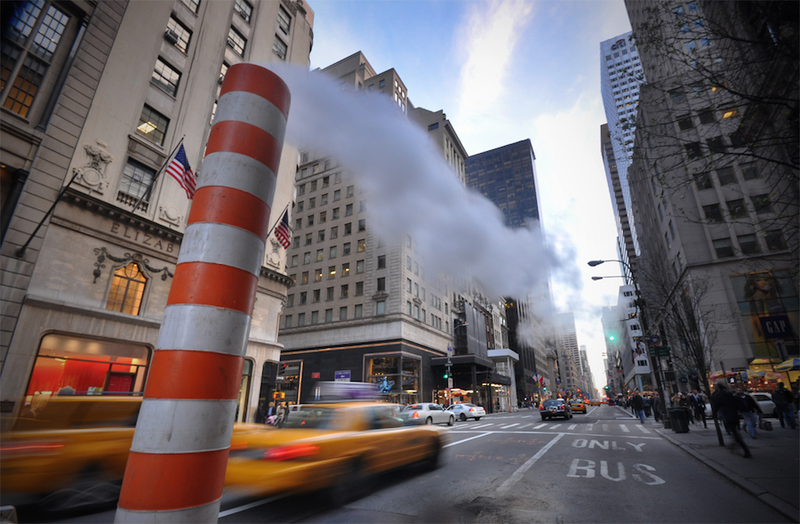 In New York City, fossil fuels burned to provide heat and water to buildings are the number one source of emissions – 42% of the city’s total. This week, New York City Mayor Bill de Blasio announced a new plan to drastically reduce the emissions of aging buildings across the city. Despite Trump’s hasty withdrawal from the 2016 Paris Agreement, de Blasio pledged to adhere to the treaty and accelerate New York City’s action to cut its fossil fuel emissions. If approved by the City Council, owners of buildings larger than 25,000 square feet must invest in more efficient infrastructure (including boilers, water heaters, insulated roofs and windows, etc.) by 2030. This applies to around 14,500 private and municipal structures across the city. Owners of buildings that have not complied will face penalties beginning in 2030, ranging from fines of $60,000 a year for a 30,000-square-foot residential buildings to $2 million for a 1 million-square-foot buildings). Penalties may also include restrictions on future permitting for noncompliant owners. The plan also aims to produce 17,000 middle-class “green jobs” by 2030, including plumbers, carpenters, electricians, engineers, architects, and energy specialists. What does this all mean for architects working today? This latest development might be applied to provide a new standard for new structures built between now and 2030 (and long after) to incorporate more common-sense energy efficiency features. The Mayor’s office has not responded to AN‘s query on whether this program or its penalties will apply to buildings constructed from 2017 onward.